Ingrid’s road to success began in 2003 at the Doubletree Metropolitan Hotel where her passion for people and ethically balanced approach to all matters earned her two promotions within her four-year tenure. In 2007, realizing the need and driven by the desire to learn and surpass her learned skills, Ingrid assumed the position of human resources director at the iconic and independently owned and managed Paramount New York Hotel. In this role Ingrid quickly acquired her certifications in loss prevention, worker’s compensation, OSHA standards, MSDS, blood borne pathogen handling and training, crisis management, fire safety standards and data protection legislation. Ingrid rejoined Doubletree in 2013, only this time as a full service, all-suite brand within Hilton Hotels Corporation. Her experience at Doubletree undoubtedly paved her way toward an in-depth and comprehensive understanding of all-suites concept and business model. After thirteen remarkable years in hospitality, growing her family was Ingrid’s next priority in life. Demonstrating a genuine work-life balance, Ingrid assumed several task force projects during this time for The Park lane, The Row and Paramount New York. Upon returning to NYC workplace, Ingrid was hired by Marriott Hotels as Complex human resources director with oversight of Renaissance Hotel 57 and Courtyard By Marriott New York. 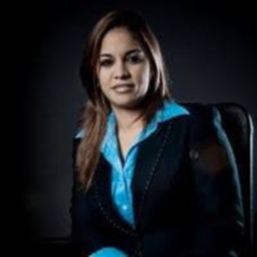 Mrs. Ossa graduated from the Universidad Santiago de Cali, with a Bachelor of Science degree in International Finance & Business before attending in the United States, NYU to obtain an MPS in Finance and a Business & Human Resource Management degree in 2008.